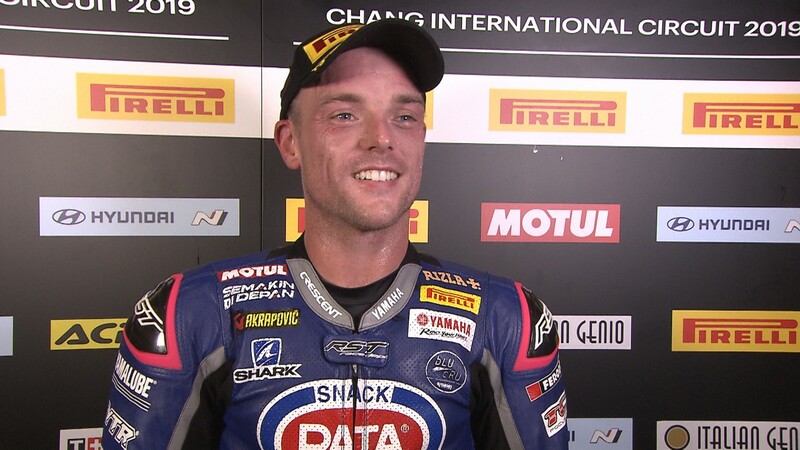 The Pirelli Thai Round, the second “Triple-Treat” race weekend of the 2019 MOTUL FIM Superbike World Championship, that took place at Chang International Circuit from the 15th-17th March, in Thailand, ended with a triple podium for Pata Yamaha WorldSBK Team’s rider Alex Lowes. Third on the grid of Race One after setting a flying lap with his Yamaha YZF-R1 in the Tissot Superpole on Saturday, the British rider was capable of a brilliant performance in the first encounter at the Thai venue. Race One saw him battling with winner Alvaro Bautista (ARUBA.IT Racing – Ducati) in the early stages of the race, for then settle in third later in the race, thanks to a consistent pace. 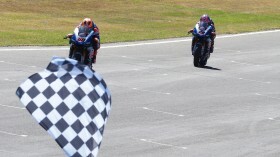 With Jonathan Rea (Kawasaki Racing Team WorldSBK) riding in second too far at the front to being catch without taking excessive risks, Lowes had only to defend his third position from his team-mate Michael van der Mark, who also concluded a strong weekend in the heat of the Thai race venue with three identical fourth places. 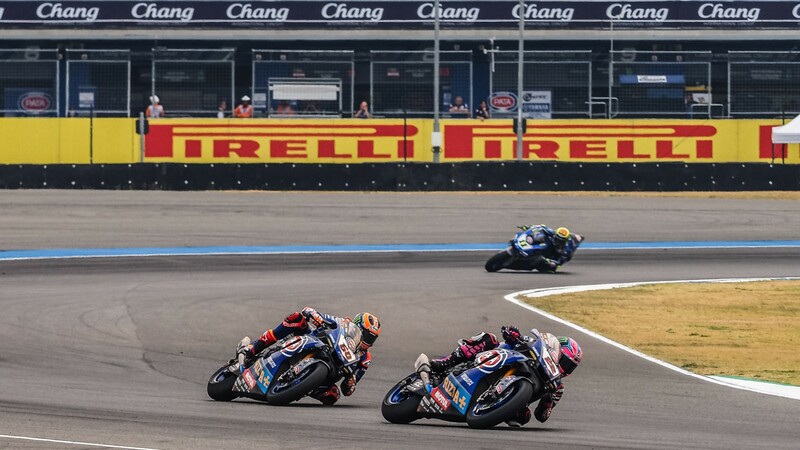 Lowes and van der Mark stunning performances at the Buriram circuit continued, as they went to finish again in third and fourth positions in the Tissot Superpole Race, and again in Sunday’s afternoon Race Two. "I was really happy with Race 2 today. 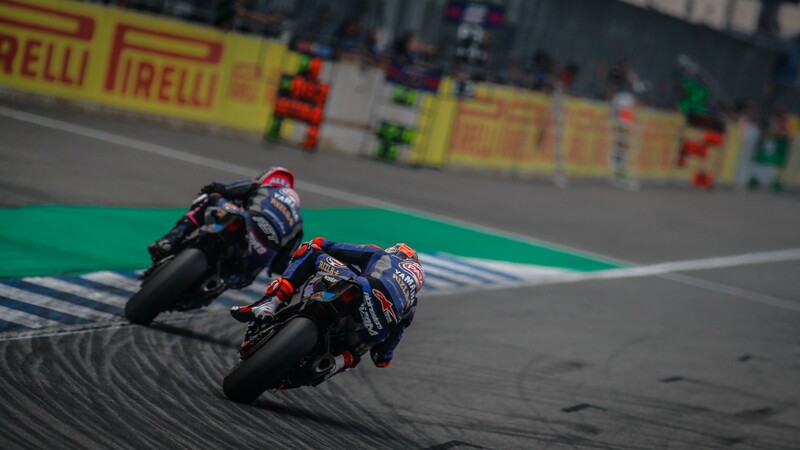 I felt really good for 12 or 13 laps, and I thought I might be able to challenge Johnny for second with the pace I had, but then I started struggling a bit near the end and had to roll off a little and take advantage of the gap to the group behind” explained Lowes at the end of the race. Speaking about the battle for third with his team-mate the British rider added: “Overall, it's been a great weekend, for Michael and me. He pushed me hard in the race yesterday and to come from tenth on the grid to finish fourth in the Superpole race was difficult for him. We've both done an excellent job for the team, but we need to continue working just as hard when we get back to Europe if we're to close the gap to the front two guys." 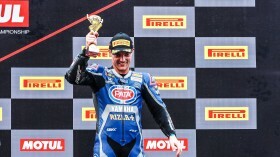 The Dutch rider secured his fourth place in the championship standings and in particular he was pleased with his performance during the Tissot Superpole Race: “The fourth place in the Superpole race was really important because it meant I started this afternoon from the second row of the grid”. Talking also about the fight for the podium with Lowes, van der Mark added: “I got a good launch from the start and then worked a bit with Alex, which was good, but already from the first lap I didn't feel so comfortable with the front of the bike, maybe because the temperature was so much higher. I struggled a little so that I couldn't stay with Alex, and then I made a small mistake and lost a lot of places. From there I had to work my way back to the front of the group, where I was able to maintain a consistent pace to finish fourth once again”. With three podiums and three fourth-place finishes in Buriram, the Pata Yamaha WorldSBK Team duo is now ready to make other steps forward in the next round that will be held in Spain at MotorLand Aragon from 5th-7th April 2019, where they hope to be able to get even closer to the red and green machines at the front. 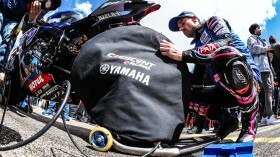 Find out what Alex Lowes and Michael van der Mark will be able to do at MotorLand Aragon with the WorldSBK VideoPass! 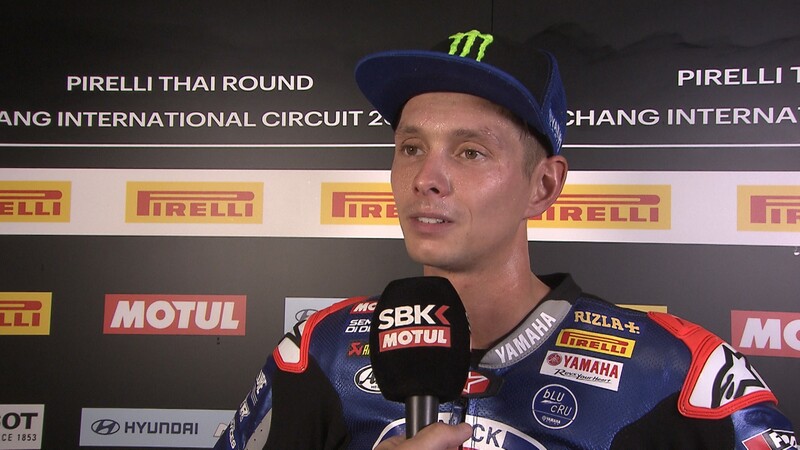 Lowes ‘gutted’ to say podium "is like a win"
The Pata Yamaha WorldSBK Team want to return to the podium in Thailand, with wins not off the cards!